OK, I've installed it. How do I tell if it's working? What's next? If you do see problems, try to getting hold of our internal log. This could be done from status page, or found directly in /log directory on server. If you can't make the reason of a problem yourself, please open a support ticket and we will help you out as soon as possible. If everything is all right, you might want to configure the server to fit your environment. In most cases, the defaults we provide are enough to get started and you don't have to do anything. Please refer to user manual for more details. After configuration you should be ready to begin using the system. 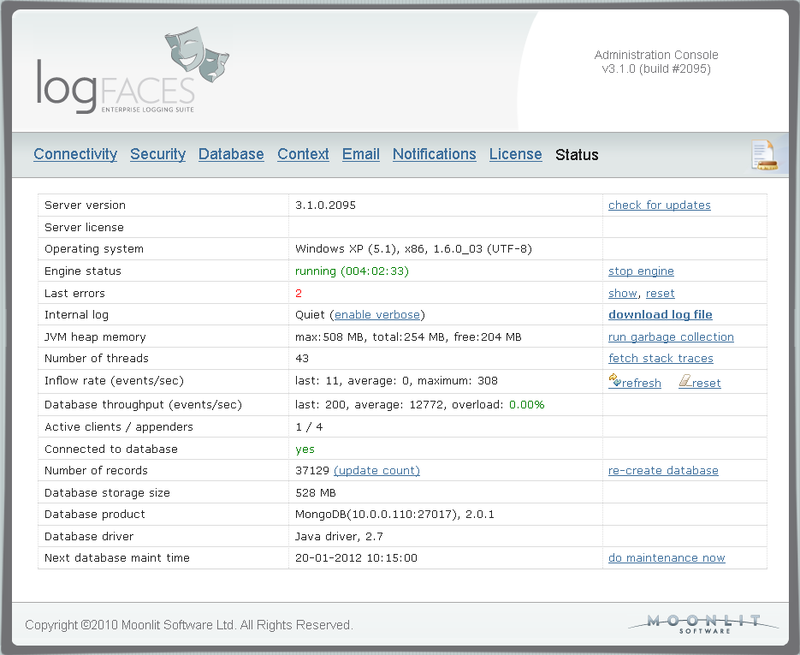 First, setup your application to transmit log data to logFaces server and run your application. Second, open logFaces client and checkout repository, you should see your application is listed there. At this point, you should be able to create real-time perspectives, do the queries, etc. Both, setting up appenders and usage of the client are described in great detail in user manual.